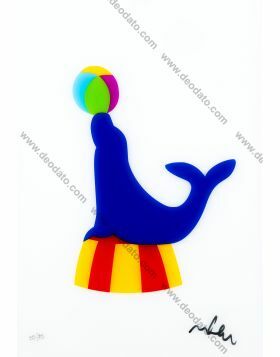 Sericollage on pvc autographed in limited edition of Marco Lodola, that chooses the theme of the circus for this series of works. 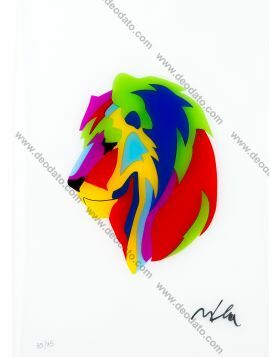 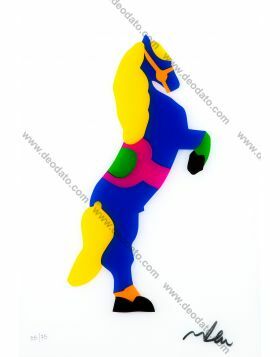 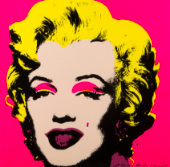 The colors of the screen prints are those typical of Lodola, very vivacious and explosive. 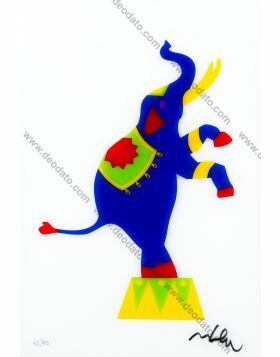 With one sculpture of these, "Circus Lodola" - a bright elephant in persperx and neon - Lodola has contributed to crear a very suggestive atmosphere during "The theater of the Silence", an annual event organized by the tenor Andrea Bocelli among the hills of Lajatico, Pisa.